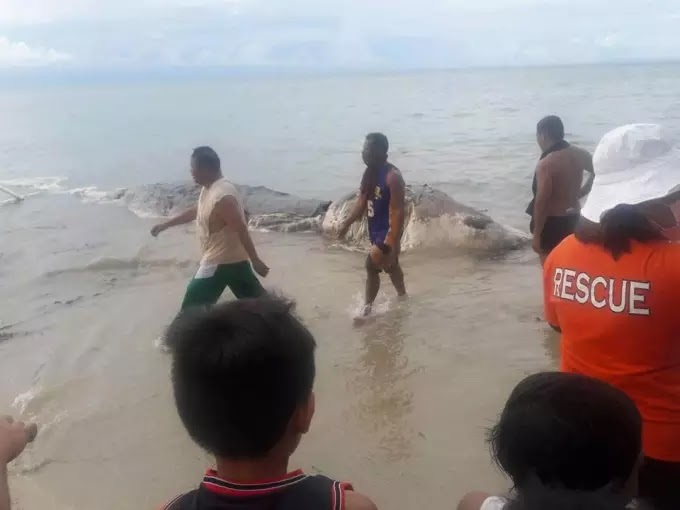 Many beachgoers in the Philippines were recently left completely stunned when a mysterious creature washed up on shore. 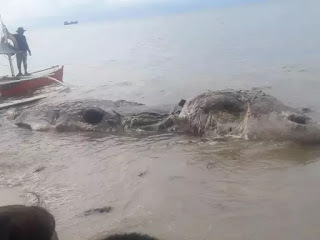 According to The Sun UK, the unknown sea-beast was found in the shallows off Maasin City, on the island of Leyte. However he said there was a chance that the creature, which was the length of a fighter jet, could have been a whale. Nujnuj Capistrano, 42, photographed the beast after spotting it as he was passing the beach. He said: "I was just passing by the beach and took some photos but I don’t know about the details. 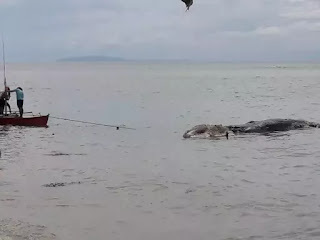 "I was surprised because it's too big and it's the first time I saw that kind of creature. "I don't know what they did with it but one thing is for sure, the creature was already dead when I saw it. "The smell was too bad. I can’t describe it, but it was a bad smell." The city reportedly decided to tow the 10m creature back out to sea, saying it could not be buried because of its size and its smell was already a health hazard.